It’s often hard to tell when you are using Google Maps exactly where you are supposed to turn. 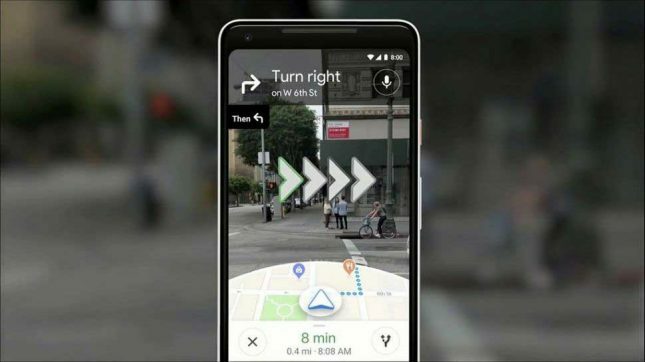 Some Maps users are currently testing out a feature that overlays directions on the real world using augmented reality. It seems this feature is in testing for pedestrians right now. AR overlays for Google Maps was first announced last year, but hasn’t rolled out yet. However, early testers note that users need to hold the camera of their device up and point to a few nearby locations for the app to figure out where you are. Testers reports that the feature works with remarkable precision. It remains unclear how long the AR feature will be in testing. Word is that the AR feature needs more polishing before a full launch. There is no indication of what exactly Google is trying to polish. There is also no indication of when Google might roll an AR feature out to navigation for drivers. A nerdy father of two, a husband of a beautiful and understanding wife, an engineer who loves anime and tinkering with PCs and games, but most of all, loves God. This entry was posted in Family and tagged Feedly, IFTTT. Bookmark the permalink.